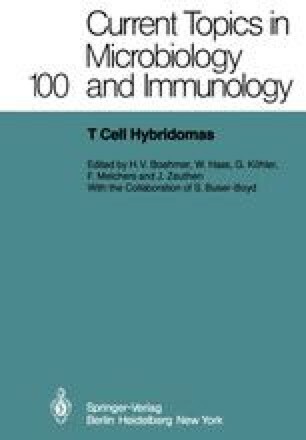 T cell hybridomas are a potential source of large amounts of monoclonal, antigen-specific T cell receptor or T cell factor material. However, despite numerous efforts, this goal has not yet been achieved. There may be several reasons for this and we would like to stress three of them.